It's no secret that anxiety issues can be very difficult to deal with. 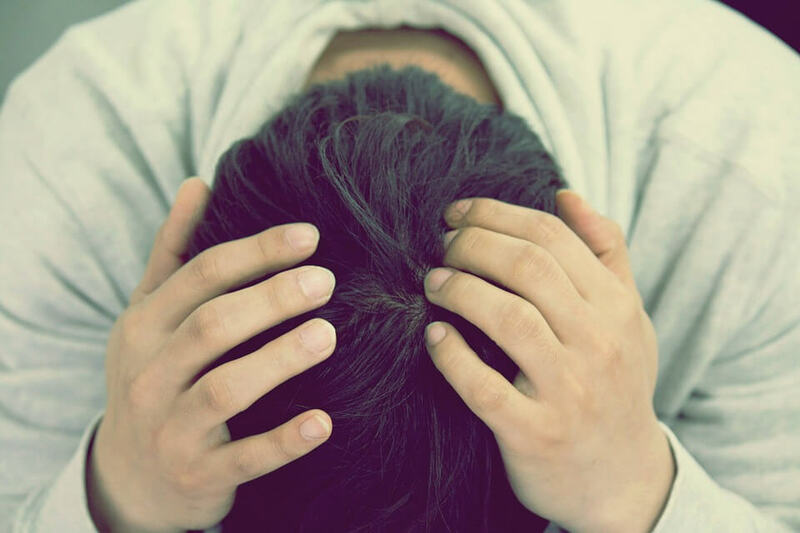 If you have been suffering from severe anxiety problems, then it is possible that they may be negatively impacting your life in several ways. When anxiety starts to get the better of you, it can become difficult to focus on important things in life. You may start to fall behind in school or your performance at work could be suffering. To get things back on track, you need to be able to learn how to deal with your anxiety more effectively. This isn't something that you should feel ashamed of. It's important to understand that millions of people deal with anxiety problems every single day. The pressures of modern society can be very mentally taxing, and anxiety is often a normal response to stress. Knowing that anxiety is normal doesn't make it any easier to deal with, though. You need to have methods to help yourself manage your anxiety symptoms. This will allow you to feel better and avoid many of the more negative aspects of anxiety. If your symptoms are quite severe, then you may need increased help. There are also many people who are unsure about whether or not they have an anxiety problem. If you are having problems with the way you feel, it is always smart to see your family physician. You should discuss matters with a professional who can properly diagnose you and help you out with a proper treatment plan. If you feel that your symptoms aren't severe, then you may be wondering what symptoms are specifically associated with anxiety are. There are many different symptoms of anxiety. Some of them can be quite mild, and others will be very tough for you to deal with. Basic anxiety symptoms that people may experience throughout the day are nervousness and generally feeling tense or panicked. When these symptoms worsen, it can wind up being a sense of dread or impending doom. 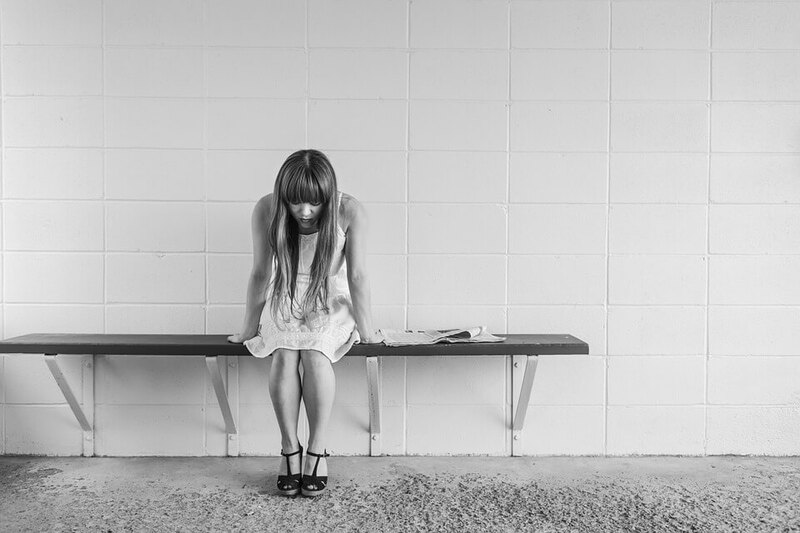 These feelings of anxiety often cannot be traced back to a cause. People suffering from anxiety don't always know what is making them feel this way. They can feel fine during the day and then suddenly shift to feeling deeply nervous and worried for apparently no reason. It is frustrating for those who are suffering from it, and it can lead to difficulties in life in many areas. There are physical symptoms that manifest themselves during periods of anxiety as well. You may experience increased sweating and a rapid heart rate when you're dealing with anxiety. Some people even have problems with feeling physically weak, and their hands may start to shake. Muscle twitches are also possible and knowing that you have physical tells may lead to increased feelings of self-consciousness during bouts of anxiety. Anxiety attacks are another more severe form of anxiety that people deal with. These can be terrifying for those suffering from them. It might feel like you have a heart attack and you can even be worried about whether you're going to die. It feels very real but the symptoms are only brought on due to your anxiety, and this is something that frustrates many people. Learning to recognize and deal with these symptoms can be quite difficult. It can be tough to eliminate these symptoms, but you can learn to live with them and help them to become less severe. The problem is that many people get so nervous about the anxiety problems that they become detached and wind up turning inwards. They may start to avoid others out of a fear that they're being judged due to their anxiety problems. It is never a good idea to isolate yourself from the people that you love. Dealing with anxiety problems can be very tough, and it is even tougher to try to do everything by yourself. If you decide to isolate yourself and spend a lot of your time alone, then this can wind up leading to problems in your life. It can be difficult to function as a member of society in this situation, and you may wind up becoming depressed. The reason that people avoid others is often due to social fears. Sometimes anxiety is brought on by being afraid of certain social situations. It could be something as simple as being nervous about meeting and interacting with new people. Likewise, the anxiety could present itself because you had an embarrassing interaction with someone, and this is preventing you from feeling brave enough to reach out again socially. The decision to isolate yourself will not help you in the long run, but it is understandable why you might make this decision. Anxiety problems are complex and feeling like you aren't capable of interacting with others properly makes you want to stick to yourself. Many people decide to do this, but you don't need to feel like you're alone. It is possible to reach out to others without leaving your home. When you don't feel like you have the mental strength to go outside and interact with your friends, it can be beneficial to use the computer or your phone to reach out to others. As an example, you could decide to go to a social anxiety chat room. Being able to talk to others who have similar experiences to yours can help you to cope, and you may be able to help give someone else strength. The important thing to understand is that there are other people out there who understand what you're going through. So many people suffer from anxiety problems in modern times. It has become increasingly more common, and it will likely be an issue that people are dealing with for years to come. There is no need to feel like you're unusual or defective in some way because there are people who relate to your situation. There is a lot of benefit in reaching out to others. If you can connect with other people who are suffering from anxiety in a similar way to you, then it can be easier to cope. Simply chatting with people like this in a chat room for anxiety will allow you to share your feelings. You'll be able to understand that others are dealing with many of the same thoughts that you're having and things will seem much more normal. Scores of different people have taken solace in these chat rooms over the years. It's perfect for when people have anxiety that is severe enough that it makes it difficult to leave the house. It's a way for people to feel like they are connected to others even when they are at a low point in their lives. If you haven't considered trying it, then it just might be worth your while. It is a good idea to go ahead and try out an anxiety support chat room. You will be able to speak with other people who have experiences that are similar to yours. There are a few different types of chat rooms that you can consider. Some chat rooms will have people speaking with a mixture of professionals who are there to help and peers who are suffering from similar issues. Others will be purely professional help chat rooms that exist to help people manage their symptoms of anxiety. Specific chat rooms are also tailored to certain symptoms. You can find a depression and anxiety chat room to visit if you are feeling symptoms of depression. Whatever your specific needs are, you will be able to get into a chat room that can help. This will be a convenient way for you to work through several of your issues without having to leave the comfort of your own home. One of the reasons that people with anxiety issues don't seek help is that merely taking the first steps outside can sometimes feel difficult. It can also be tough to deal with these problems in public because you don't want to be judged or have a negative stigma applied to you. A chat room for anxiety is a simple way to get some help and start to feel better about your situation. 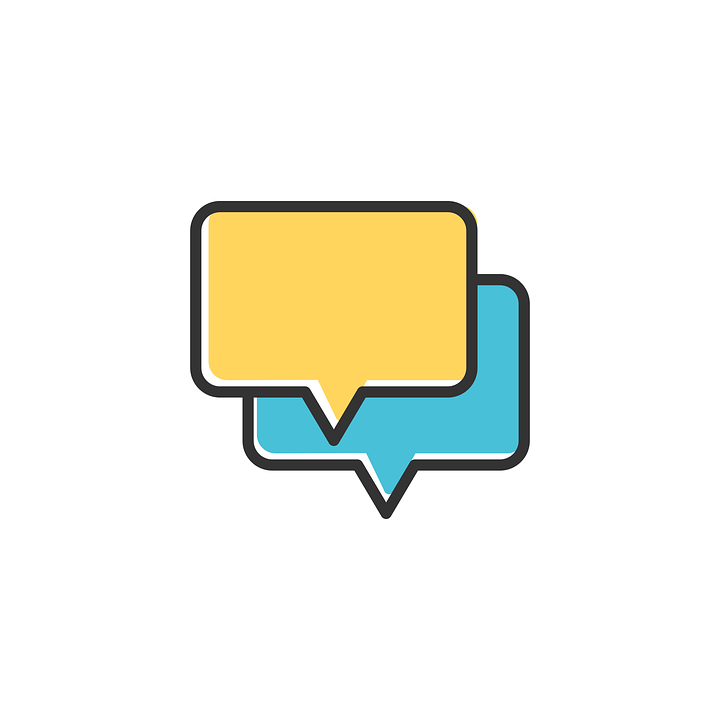 These chat rooms are going to be a great resource for you. It is up to you to determine whether or not you want to make use of them. Anxiety can be a very tricky thing to deal with. Just know that you are not alone and that there are people out there who care about your well-being. If you want to get help, then it will be readily available to you. Getting assistance from a professional therapist or counselor could prove to be beneficial. If your symptoms of anxiety have negatively impacted your life, then just know that you can get things back on track. It may feel very difficult right now, but if you are willing to seek help, then you can start to make significant progress. You may want to consider signing up at https://www.betterhelp.com/start/ to get the assistance that you're looking for. They have a team of dedicated professionals who will help you in every way that they can. Best of all, you can seek this aid without needing to leave your home. If you're feeling anxious about getting treatment in-person, then this can be an excellent step to take as an alternative. Professionals like this will always do their best to make you as comfortable as possible. Simply reaching out to them will allow you to chat and work through many of your issues. If you feel like you are having a really bad day with your anxiety, then reaching out to them in the anxiety chat room is highly recommended. It can help you to feel grounded and mitigate the negative effects that anxiety attacks can have on you. Simply having people that you can rely on will feel good. If this is something that you are too nervous to talk to your family about, then perhaps you can start with these professional therapists and counselors online. It just might make you feel better and make it simpler to deal with your anxiety. It's a very convenient situation, so keep it in mind if you feel like pursuing help for your anxiety issues. Depression And Anxiety Facts - What's The Correlation?